Thanksgiving weekend is a great time to throw a class reunion as guests are in full party mode with the long weekend. This past Friday, Ambient DJ Service had the pleasure of performing at the West Windsor Plainsboro High School Class of 2001- 10 Year Reunion party held at the Nassau Inn in Princeton, NJ. 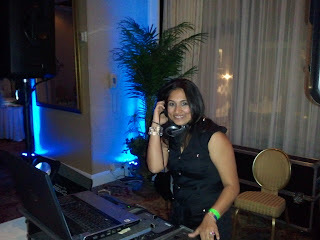 We were retained by Princeton-based event planner Dharmi Shah of Evenings of Elegance. 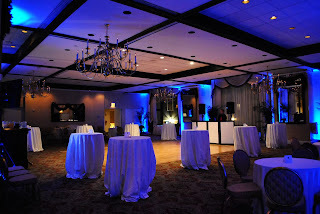 The party was held from 8 PM - 11 PM in the elegant Prince William Room located on the ground level. Coincidentally, the party coincided with the lighting of the tree in Palmer Square, located directly in front of the Nassau Inn. The area was abuzz with activity, and it was a wise decision to arrive very early for load-in and set-up. 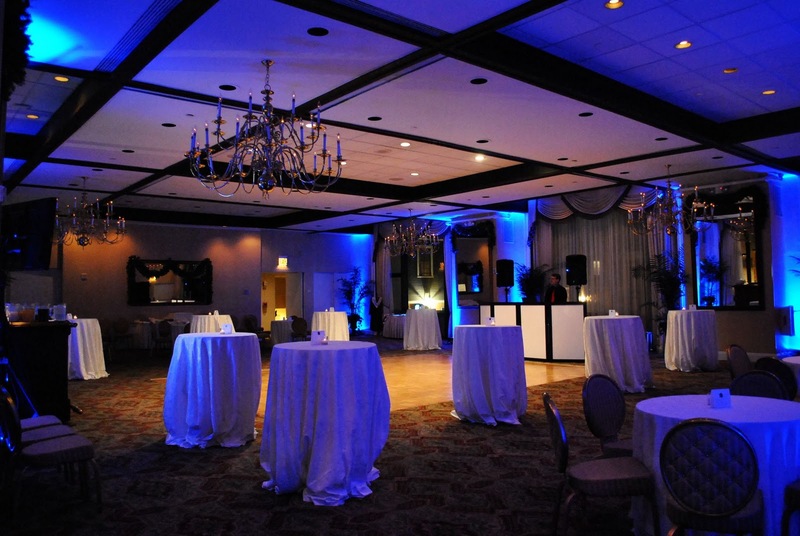 For the event, Ambient DJ uplit the room in blue. In addition, we also provided a 42 inch plasma television to display a video slideshow set on a loop. DJ Gregg Ambient presided on the wheels of steel, spinning a variety of 90s hip hop and current dance music. 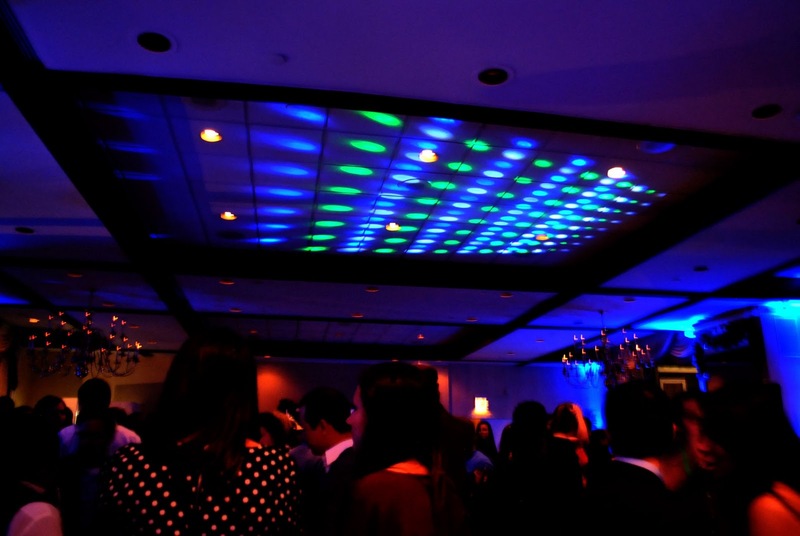 Class reunions do not necessarily feature dancing, since classmates are often engrossed in conversation. 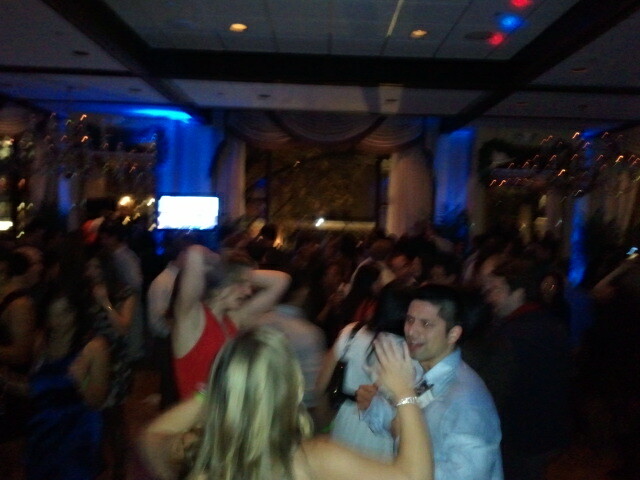 Fortunately, the WWPHS Class of 2001 was in a festive mood and hit the dancefloor in the final hour! Rounding out the entertainment, Boardwalk Photo Booth provided a cool photo booth service with a fun prop bin, that became increasingly popular through the evening. Photographer Michael Gonzalez worked the room, providing many candid photos. Ironically, this particular class was the first to enjoy their junior prom at the Camden Aquarium, an event that I have been performing at for the past two years. Perhaps I will have the opportunity to DJ for these graduates in the years to come! Congratulations to the organizers for what apparently was the best-ever attended WWPHS reunion! We've said it before and we'll say it again - the Nassau Inn is the top venue in Princeton for weddings and events, and truly captures the downtown Princeton-feel. In an industry plagued by turnover, the Nassau Inn has a great continuity of staff and it great to see the same faces year after year. To read our list of the top 15 wedding venues in New Jersey, click here. Guest DJ Dharmi Shah of Evenings of Elegance!